The Magistrate, Nasiru Muazu, ordered that Johnson be kept behind bars, pending the conclusion of the police investigation. The defendant, Johnson is facing a two-count charge of criminal trespass and theft, contrary to Sections 287 and 348 of the Penal Code. 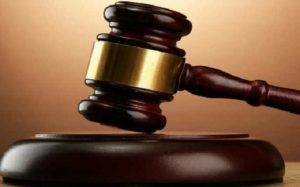 The prosecutor, ASP Daniel Ikwoche, told the court that one Pastor Wale Johnson, father of the defendant, reported the case to the Chanchaga Police Station on February 3. The case is adjourned till February 28. This entry was posted in Christianity, Crime, News and tagged Court, Crime, Theft. Bookmark the permalink.